Gardaí (Irish police) are to be allowed to wear turbans and hijabs for the first time in a bid to recruit more officers from diverse backgrounds. In a statement, the force said its current uniform rules were a "major barrier" to some potential recruits from the Sikh and Muslim communities. The uniform update was announced as the force launched a recruitment drive to appoint hundreds of new officers. It aims to grow from its current total of 14,161 members to 15,000 by 2021. Commissioner Drew Harris, the head of the Garda Síochána (Irish police force), said it needed to become "a much more diverse organisation so that we properly reflect the society we serve". "We want to encourage people from all walks of life to join us," he added. "We are looking for diversity not only in background, but also in skills." 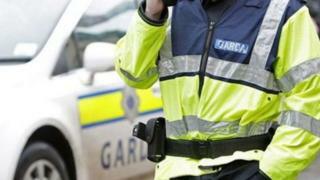 "We hope that this will encourage people from minority communities to join An Garda Síochána," said the commissioner. "We want to demonstrate to them that An Garda Síochána is an inclusive employer that is serious about becoming more diverse." Mr Harris, who is a former PSNI deputy chief constable, was appointed as Garda commissioner last summer.